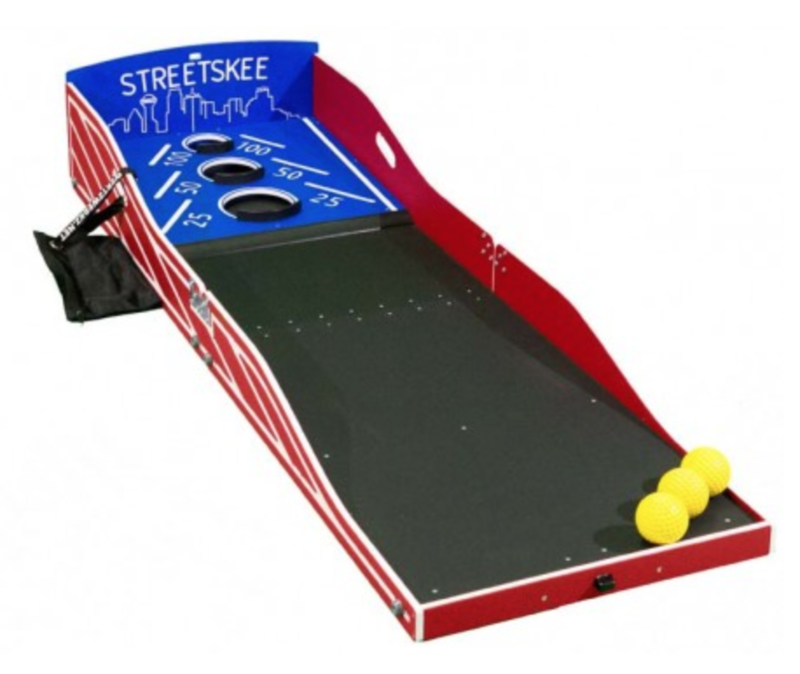 Just like the classic arcade game of Skee Roll, our Street Skee game is an awesome carnival game version! Roll the balls on and up the ramp to try and score in the smallest hole which has the highest point. The game can be played in two ways, one of which is to try and get the highest score, the other is to fill all three holes. Whatever way you decide to play, this classic game is a hit amongst all ages and a carnival classic.